Congratulations to Cerys! She designed the winning Eco Code! 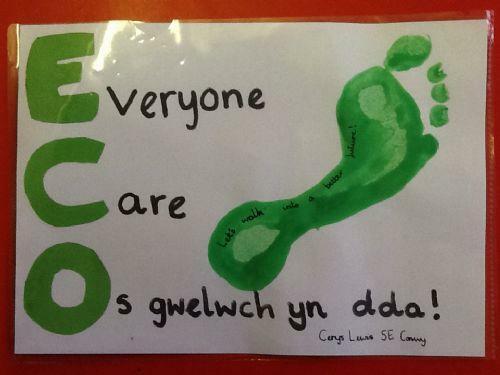 Not only does it spell out 'ECO' but she even managed to include Welsh in it - da iawn Cerys a llongyfarchiadau!